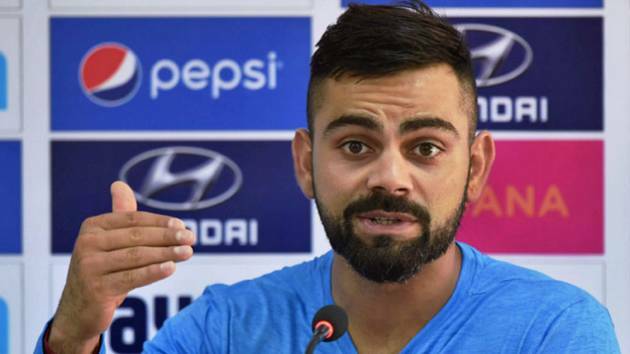 Sydney: India captain Virat Kohli on Friday distanced the Indian cricket team from all-rounder Hardik Pandya and opener KL Rahul controversial comments made on Koffee With Karan, a TV talk show, saying the remarks were individual opinions. Addressing a press conference here just before a day to the start of the first ODI of a three-match series against Australia, the skipper also talked about the selection headache due to the controversy. Pandya can feature in the playing eleven if the Board of Control for Cricket (BCCI) does not ban him for few matches. "I can say that we as the Indian cricket team and responsible cricketers don't align with those views, those were individual opinions. We are still waiting for a decision to be made," Kohli said. "The team management will have to wait for the Board's decision on Pandya and Rahul before arriving at a conclusion on the playing eleven for the first match," the skipper added.Talking about his combination concern, the 30-year-old skipper said, "As far as the combination and team balance are concerned, yes, you'll have to think about the combination you'll need now. "You don't have control over these things so you have to address it the way it unfolds. And that's how we are looking at it, the combinations will have to be looked at when the decision comes out and from there on we'll see what needs to be done about the whole situation,? the Indian skipper added. Pandya on Wednesday issued an apology for his anti-women comment, saying he may have got a bit carried away with the nature of the show.In the latest episode of the talk show, in which opener KL Rahul also featured, the all-rounder drew criticism for his misogynistic and sexist remarks.